#VarunDhawan who changed his character type with his performance in #October said, he has shown the good part of life in other film and with October he wanted to share the truth of life. Varun who is currently busy shooting for upcoming film 'Sui Dhaga' visited his fans after a screening of his released film 'October' on Friday. 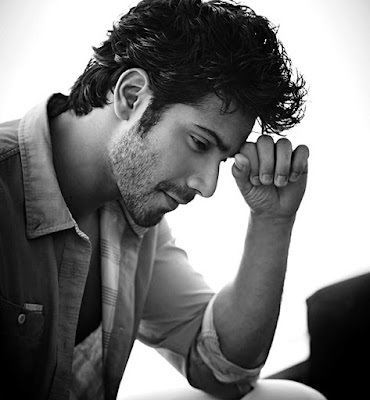 While interacting with fans, Varun expressed the reason why he chose to do the film and a character like Dan he said, " October is the absolute truth of life, The film teaches you how to deal with life and death. Life is not always going to be rosy and I have shown the good part with my films li wanted to show the bad parts too. I give alot of credit to Banita for my acting she has done a fantastic job and the film is very close to my heart." Talking about the drastic change in his character choice he said, he will continue to make people laugh and entertain, "I am very aware that people are used to seeing me in a certain way. Always upbeat, happy and in comedy films. I love making everyone laugh and entertaining them and I will keep doing that. October comes from an extremely special place from my heart because my career forwarded I just felt that I started becoming more selfish and i wanted to do a selfless character like Dan." The 'Badlapur' actor also pleaded his fans that, we should not lose the humanity in human as a growing generation, "Now that the film is out I can finally say this. Life is so unpredictable we don't know when we might lose someone who is close to us. It is so important to give time to people in life and know what is your priority in life. Your priority is not to send a message or emoticon that's not love or care because after a person is gone you re not going to remember a WhatsApp msg. That memory of theirs has to be in your head and your heart. Being selfless is another power I am not saying I am selfless, Dan is a character I played. Dan is within all of us we have just forgotten it with time. So let's not lose the humanity in human and that's what i wanted to say with 'October'. Shoojit Sircar directorial follow the life of Dan (Varun Dhawan), a hotel intern as he deals with life and death of a friend Shiuli (Banita Sandhu). The film produced by Ronnie Lahiri and Sheel Kumar stars Varun Dhawan and Banita Sandhu in the lead roles. 'October' written by Juhi Chaturvedi and presented under Rising Sun Films banner released on April 13.